The boldness of springtime is upon us. Bold colors, bold weather, bold changes. Embrace the season by starting each day with something strong, rich, and energizing. We know how important that first cup of the day is. Set the tone with a coffee that has all the right intentions to help tackle every task ahead of you. Our GO BOLD blend is made up of South American coffees that taste of dark chocolate with slight fruit notes. 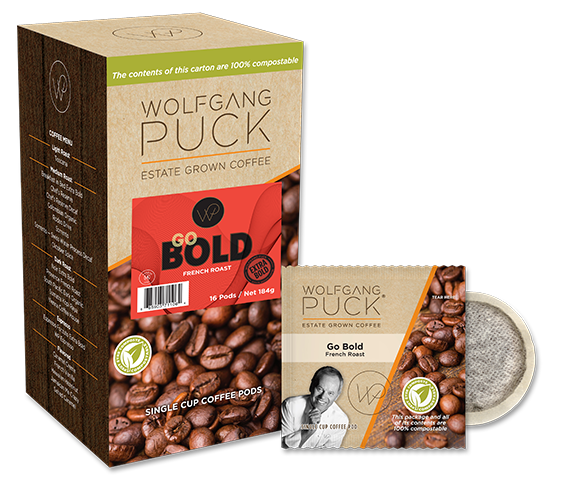 With the dark color of a true French Roast, you can jump start your day with this heavier weight pod from our Extra Bold collection. Each offering in our Extra Bold collection contains an additional two grams of ground coffee, making for a stronger, bolder, cup of coffee. Take 20% off all GO BOLD soft pods with code BEBOLD at checkout!